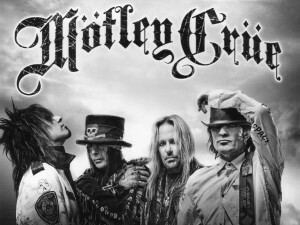 Fans hoping to meet Motley Crue on their final tour will be excited to learn the band is offering VIP ticket packages that include meet and greet sessions, but it appears not every member of the band will be participating. *All “Too Fast” purchasers will be entered to win a pair of front row tickets to attend the last concert on the tour. Two winners will be chosen. Winners are responsible for lodging and travel to the concert. If you have any questions regarding the fan club ticket presales, VIP ticket packages and presales, your unique code, please check out the Ticketing/VIP FAQ page and don’t hesitate to contact Customer Service at VIP@onelivemedia.com or by calling (877) 717-5816 (Mon-Fri 9am-5pm CT). All tickets for Motley Crue’s farewell tour go on sale to the general public at noon on Friday, January 31. We will update you with further information regarding Tommy Lee’s potential involvement in these VIP packages as more details begin to surface. Follow UTG on Twitter for updates.